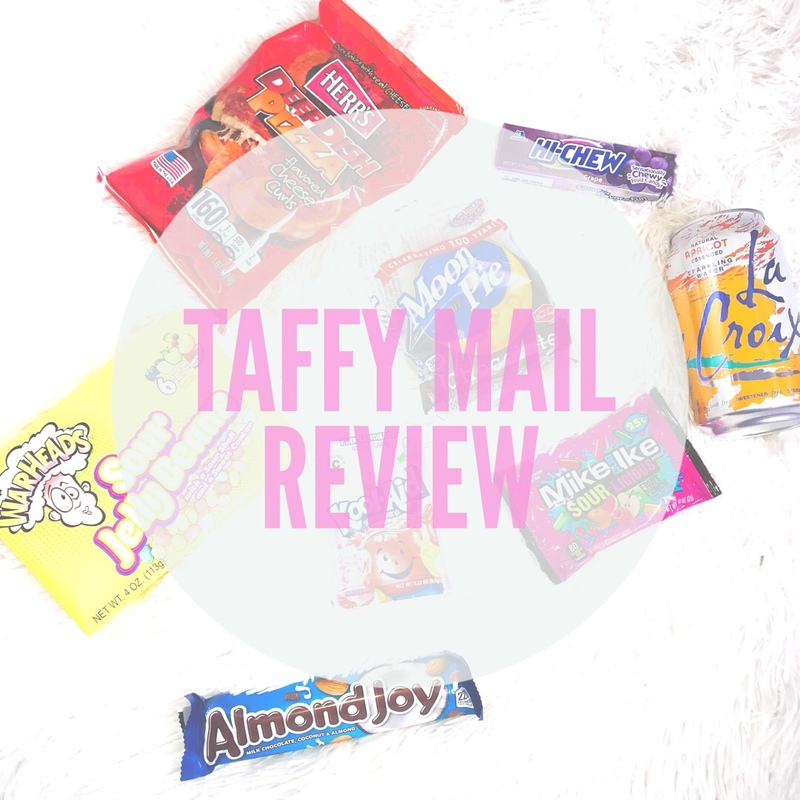 This is my first month of receiving the Taffy Mail subscription box and I was very impressed! It is a box of American sweets that gets delivered straight to your doorstep every month and I think it’s a great way to try a whole new realm of sweets. I have always been intrigued by America and all the amazing foods they have over there so I thought this is the perfect opportunity to try them out for myself! This months box was filled with 9 treats to try, with a drink included which me and my boyfriend Sam have reviewed. The first item we tried was the Herr’s Deep Dish Pizza crisps. At first I wasn’t so sure on these but as I tried a few more I started to enjoy them. I think they look very similar to English Watsit crisps. Overall I gave these a 7️⃣ out of 1️⃣0️⃣ and Sam gave them a 6️⃣ out of 1️⃣0️⃣. Next up was the Moon Pie. Me and Sam both hated this and couldn’t even finish it, I had to give it to my mum! (She was a big fan) It tasted much like coffee for some reason and I can’t stand coffee as it is. 2️⃣ out of 1️⃣0️⃣ from me and Sam together. Next was the 3 Musketeers bar. Sam really enjoyed this and I didn’t think it was too bad either. It reminded me of an English KitKat. I gave it a 5️⃣ out of 1️⃣0️⃣ and Sam gave it an 8️⃣ out of 1️⃣0️⃣. The 4th item we tried was the apricot flavoured sparkling water. I was very hesitant as I thought it was a very random combination but it was actually quite nice. Not expected at all! We both gave it a 6️⃣ out of 1️⃣0️⃣. Next up was the Hi-Chew sweets. At first I wasn’t sure whether these were chewing gum or actual sweets but soon found out as they dissolved in my mouth. I didn’t love these but they weren’t bad so I gave them a 6️⃣ out of 1️⃣0️⃣ and Sam gave them a 5️⃣. Now the next sweets were my absolute favourites! They are the Mike and Ikes. I have always loved little sweets like this so no wonder I love these so much. I will definitely be on the hunt for more of these. 1️⃣0️⃣ out of 1️⃣0️⃣ from both me and Sam! Next up was the now and later banana flavoured sweet. Unfortunately, I wasn’t a big fan of this at all and neither was Sam. He said that they remind him of the banana flavoured antibiotics he used to have when he was younger. Overall we gave this product a 3️⃣ out of 1️⃣0️⃣. The final product we tried was also a top hit. I loved the WarHeads Sour Jelly Beans so much and it wasn’t just me and Sam who enjoyed them, it was also the rest of my family. I found my dad sneaking into my room on a few occasions to try and grab some extra sour jelly beans. Me and Sam gave these very high marks of 8️⃣ out of 1️⃣0️⃣. Unfortunately we didn’t get to try the Kool-Aid just yet but I’ll be sure to keep you updated for when we do!